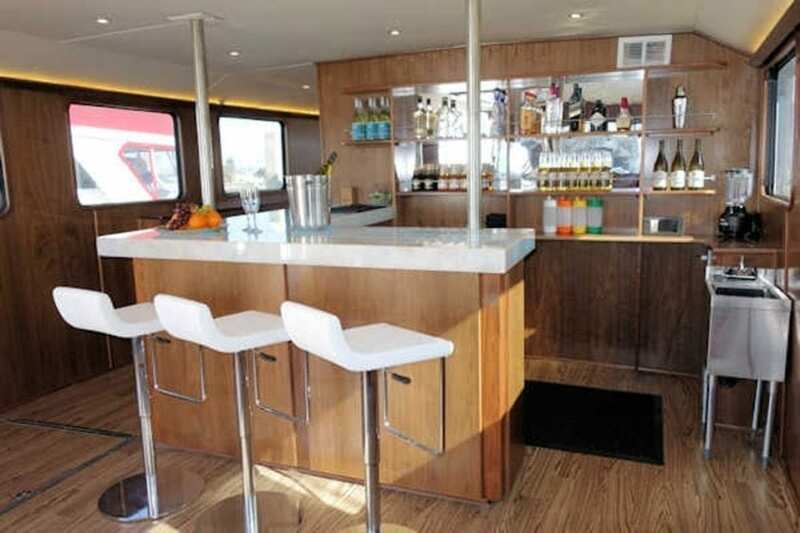 You may have a cash bar where you pay for drinks as you go or a prepaid open bar option for you and your guests. This yacht does not allow (BYOB) you to bring your own alcohol. Please select one option from below priced per person per hour. 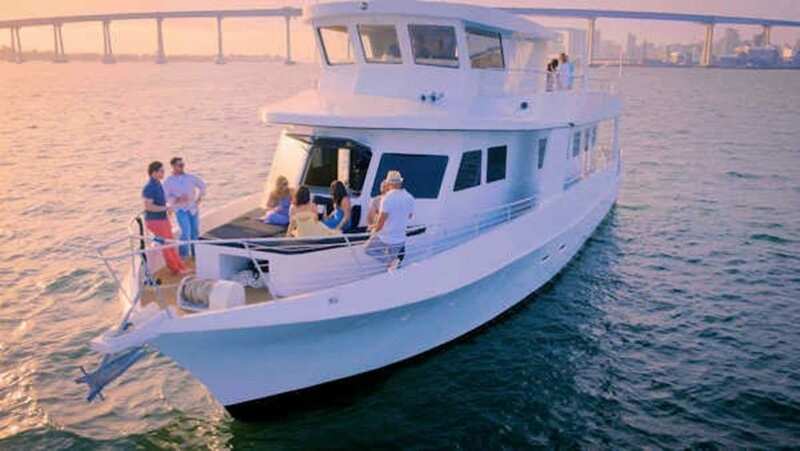 San Diego Party Yacht departing from beautiful southern California. 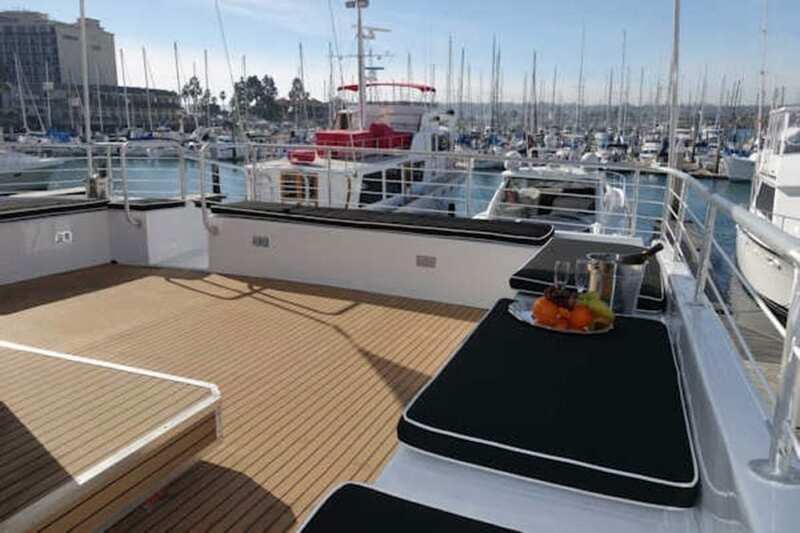 She is a luxury yacht rental and newly designed 73′ luxury yacht. 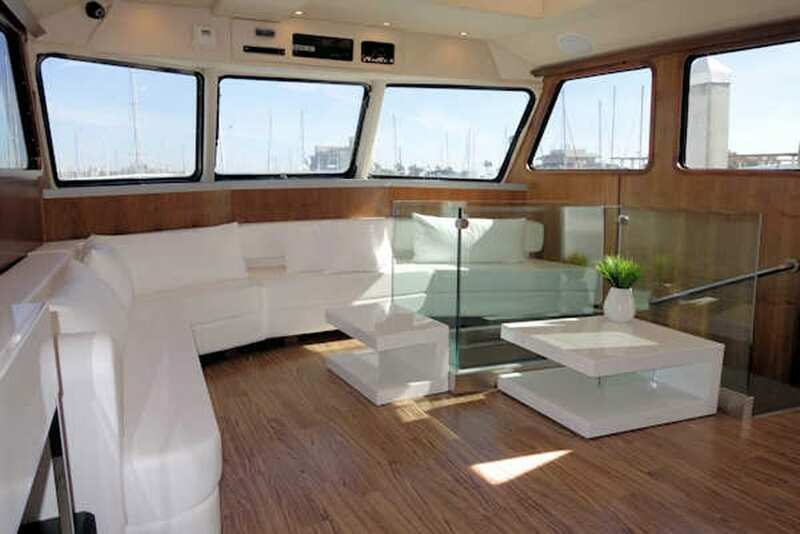 This lovely yacht can be ideal for corporate parties, private parties, or weekend getaways. It features an open air deck for and has great stability to support your pleasures floating atop the sea. 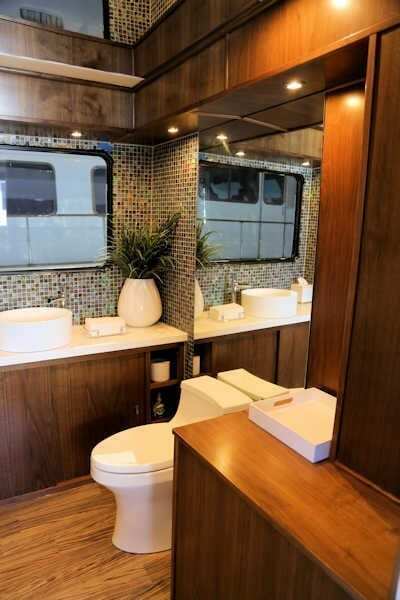 The more than memorable design proves this would be a wonderful venue for any occasion. 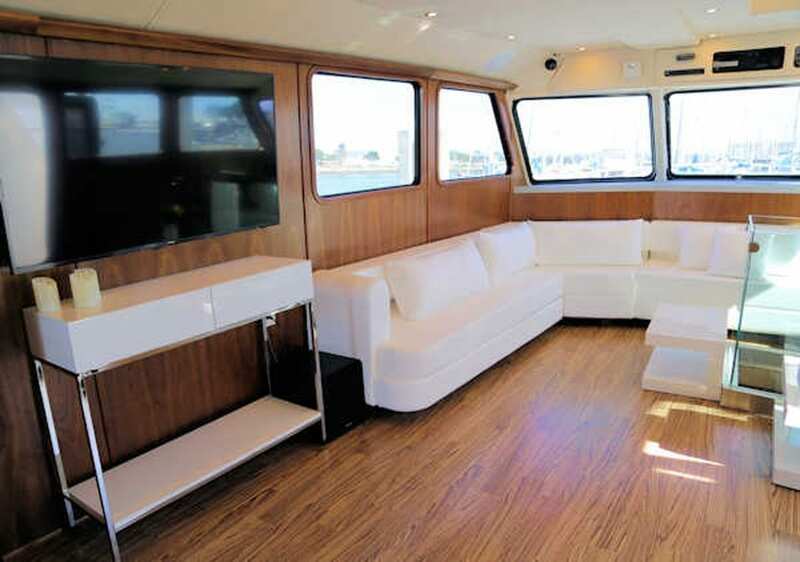 With room for dancing and socializing this yacht is perfect for corporate events and birthday parties in San Diego for up to 49 guests. 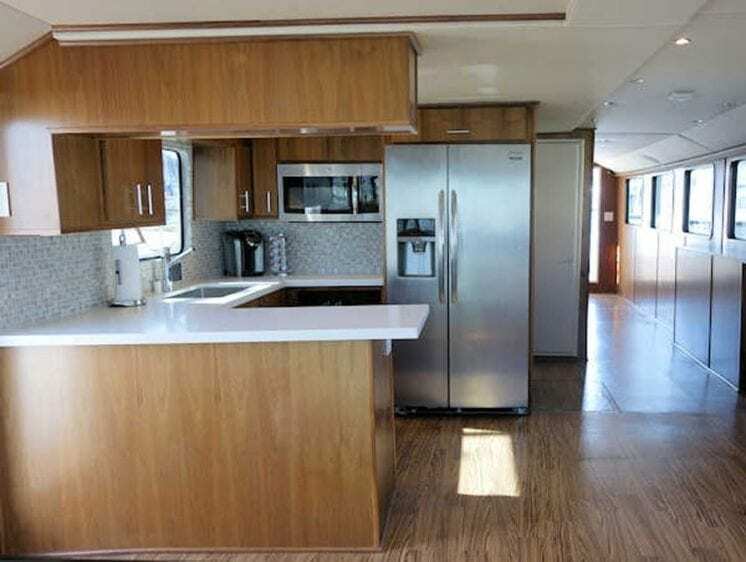 Price includes, yacht, captain, crew, and cash bar with a bartender. 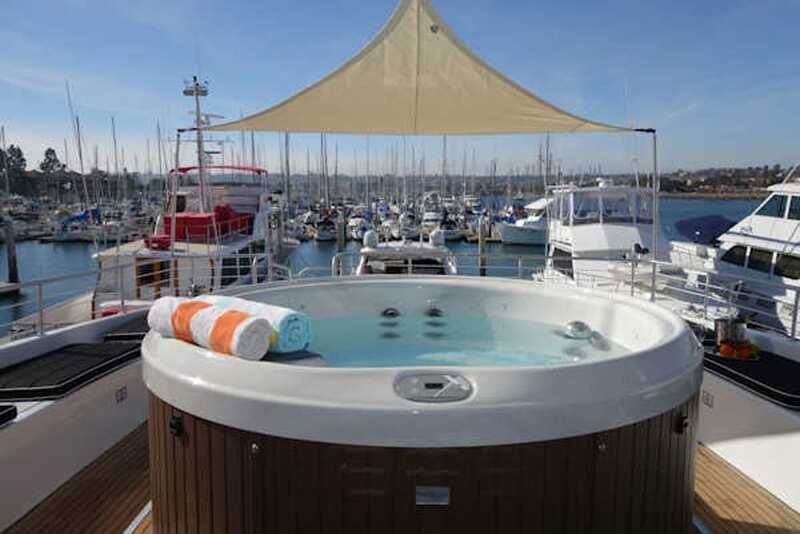 Unfortunately no outside alcohol is allowed on board the yacht.